Blogging is like going to the dentist. At least for me it is. It's like, you put it off for the longest time, and keep making empty promises to yourself to go, and when you eventually do go, you finish feeling so darn good about yourself and your teeth. So, one might ask, what the hell have you been up to? You only do nails dammit. Well yea, i do nails, gorgeous ones i might add, but most recently, I've had the most awesome inspiration to do something even better with my current nail business. As you know, Ive always been working alone, teetering in and out of different locations to the point that I'm sick of packing my nail polish into paper boxes and unpacking them onto the shelves. Well, that you can only blame on ruthless shark-like land lords who want a piece of you seeing that you do a little better than the rest of the tenants, or just plain hard to reach/find locations like club street. Well don't hate me, hate the game! I guess I owe my constant longing for re-invention and foresight to my years of art education, my deep passion for coming up with new high street fashion design nails that I never dared to reveal until now. And PNH soon will no longer be known as PNH. I will reveal the plan and my new name in a few weeks so keep a lookout here! A spanking brand new website is on it's way, and I promise it's more interactive, more fun, and waaaay easier for me to answer all your queries! I'm working closely with my web designer on a photo shoot for some awesome new company video and images! All the planning and all the work involved can you imagine?! On top of that, I'll be holding several mini soft launches on this new branding of PNH at the end of this month, at several flea markets! 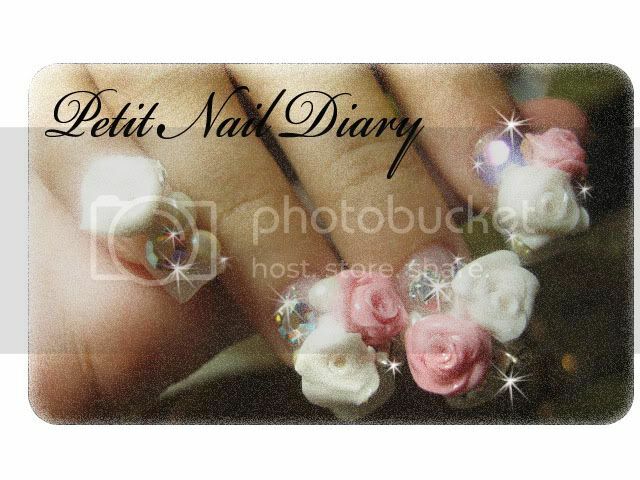 So you can see our new logo, new direction, and the last but not least, new NAIL LOOKBOOK i'm working on! I will provide the details of these events in a few days and make sure you be there, because there'll be some sweet deals at the booth on our nail art! 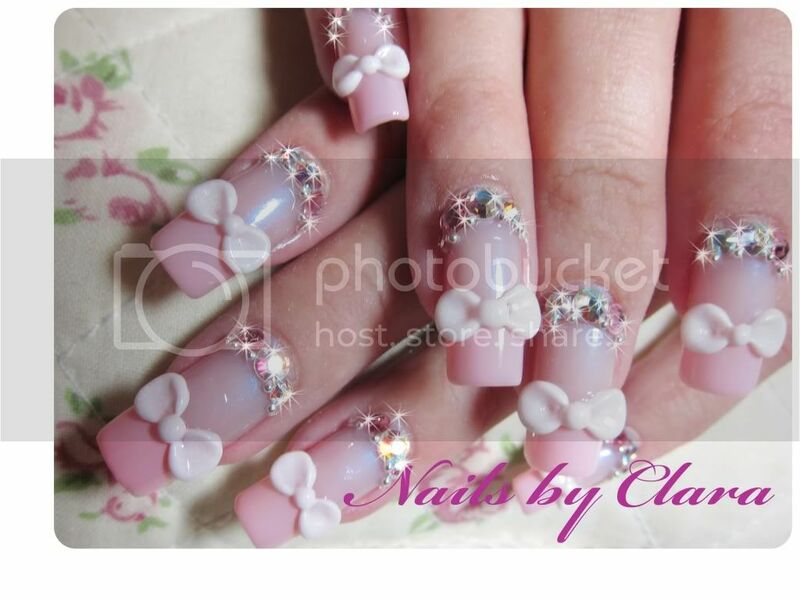 My client asked for these awesome kawaii hello kitty ribbons, adorned with crystals no less. I apologize for not posting up the tutorial of how to curl your hair, for only one reason. I chopped my locks off!!! Much to the amazement of my clients who've come in for service recently. haha. I'll see what i can do with my hair and if i can still show a good video of a hair curling tutorial!